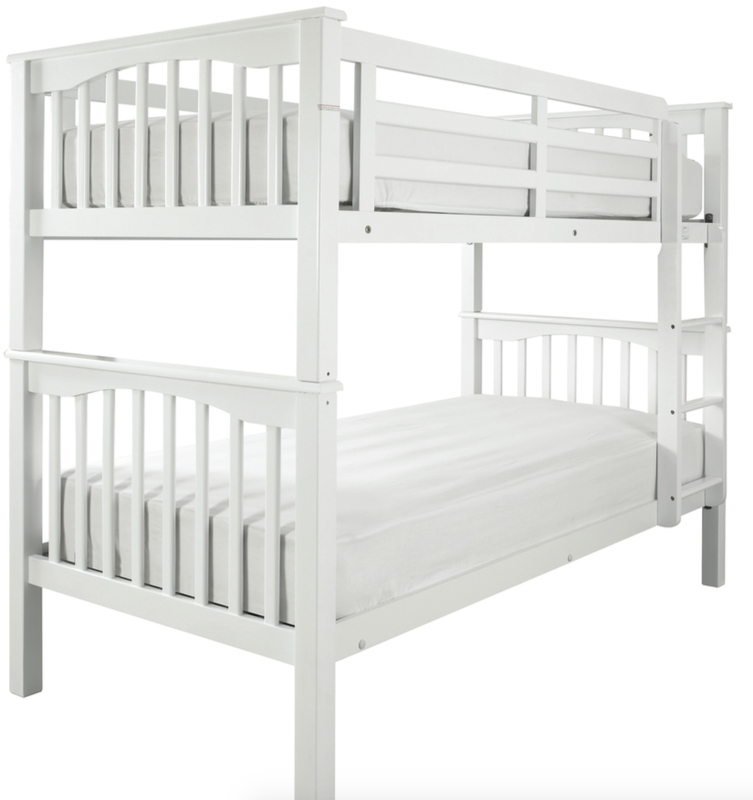 The stylish Sandra Bunk Bed comes in white colour only with it’s sturdy wooden construction and a metal mesh base offering great mattress support, it is practical and a great addition to any bedroom. The Sandra has a straight cut edge style all around with slatted effect of the headboard and finished in beautiful white. The Sandra comes with two Budget mattresses which vary in colour. The Sandra can also be split to make two single beds if required.